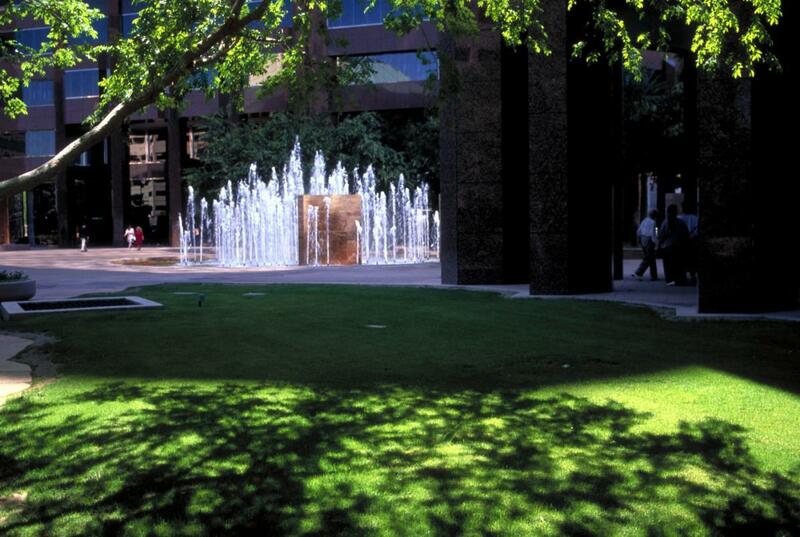 Located at a 100% intersection, Central and Thomas, along the urban corridor of Central Phoenix, Koll Center Phoenix is one of the best office addresses. The four red granite and concrete towers reflect the local mountains. 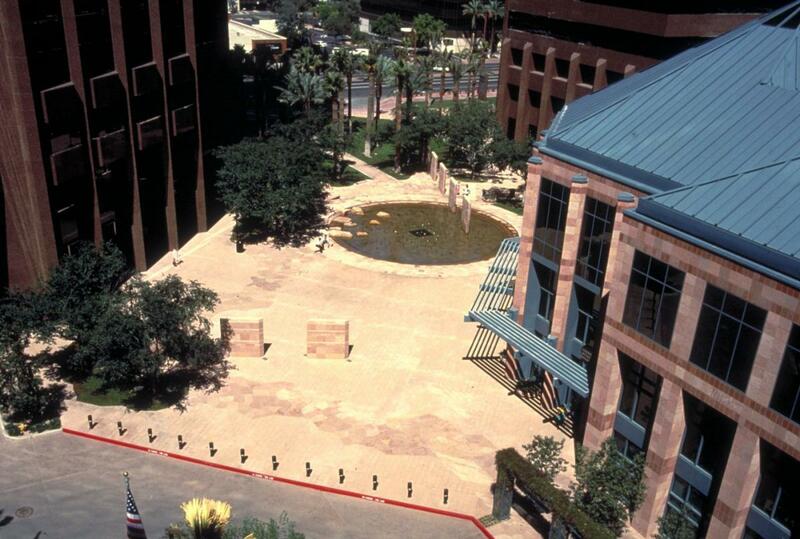 The plazas use Arizona sandstone for pedestrian areas, space making walls, sitting podiums, and an interactive fountain feature. 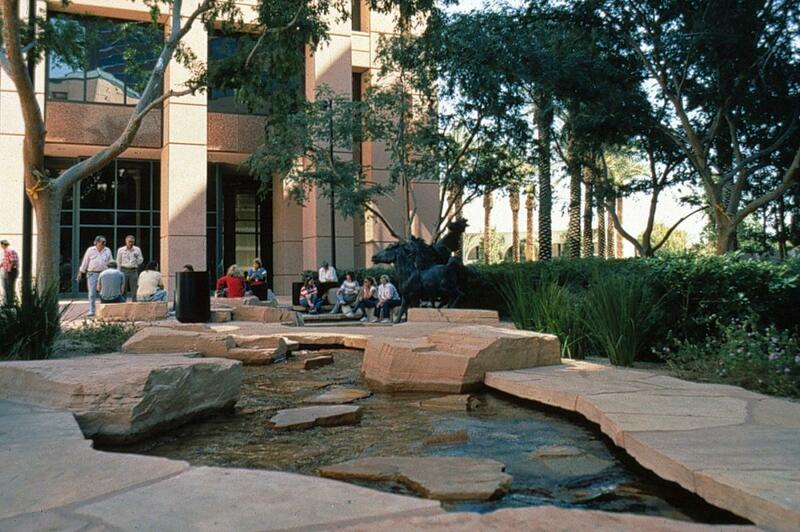 A stream connects the feature plaza with the suites hotel. Vertical green camouflages the garage, and low water requiring groundcovers carpet the ground under date palm orchards. The celebration piece is a monumental bronze sculpture of a Navajo Indian playing a flute in commemoration of the code talker who scrambled messages in World War II for the allied forces.